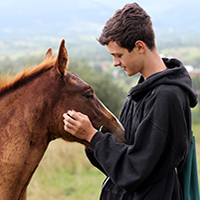 The EQUUS Foundation is the only national charity in the United States 100% dedicated to ensuring the welfare of America's horses and fostering the horse-human bond. Our mission is to protect America's horses and strengthen the bond between horses and people. 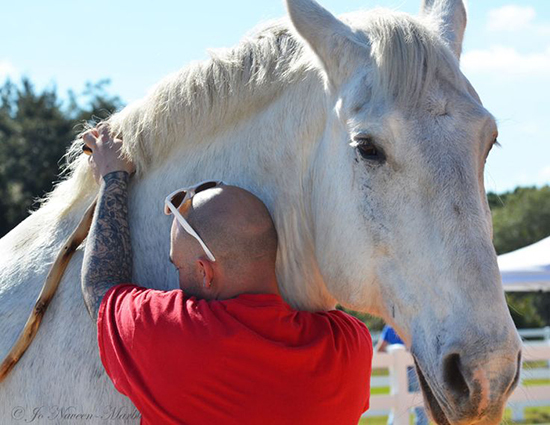 At the core of our mission is safeguarding the comfort and dignity of America's horses throughout their lives and sharing their ability to empower, teach and heal with as many people as possible. All horses, even champions of the racetrack and the show ring, are only one unlucky sale away from abuse, neglect and slaughter. 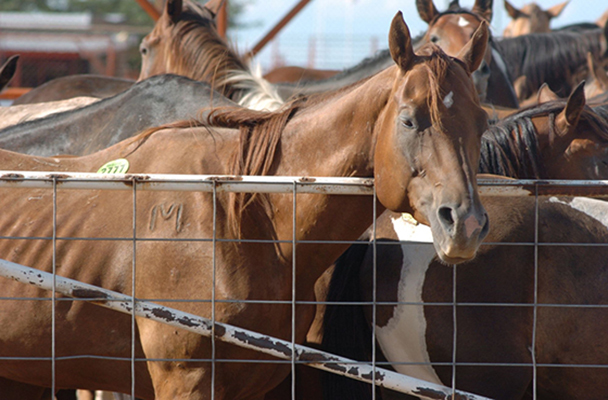 81,708 of America's horses were transported over the border for slaughter last year. Most were young, healthy, and had untapped potential. None deserved this inhumane end of life. America's horses need homes where they can flourish as athletes, companions, teachers, and especially healers. 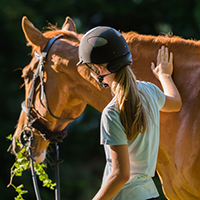 Horses thrill us as athletes, grace our lives as companions, instill confidence and teamwork in equestrians of all ages and perform miracles for people with special needs. Horses can dramatically improve the lives of people with special needs and allow them to live life as productively and independently as possible, yet equine activities and therapies are only available to a small percentage of people with special needs. 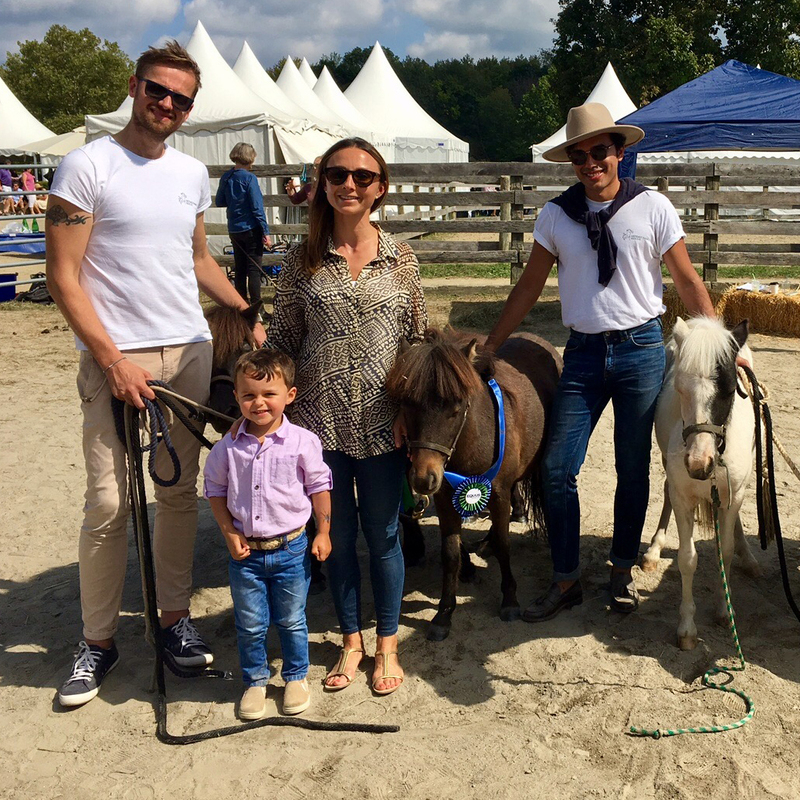 The EQUUS Foundation is committed to raising awareness among horse owners of the many opportunities available for horses after their competitive careers are over. 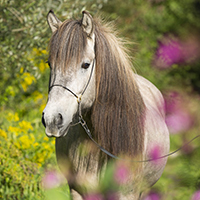 Horses are powerful teachers and healers — positively influencing not just our happiness but also our health. Too many horses in this country need a life-line and opportunities to thrive. and humane end of life. The EQUUS Foundation is governed by a Board of Directors representing a cross-section of the equestrian community, including supporters, participants, and professionals. The Foundation operates without employees but retains outside service providers under the supervision of the Board of Directors. The Federal Identification Number of the Foundation is 42-1547242 and is classifed by the Internal Revenue Service as a tax-exempt 501(c)3 public charity. Donations are tax-deductible to the full extent of the law. The EQUUS Foundation does business under the name Horse Charities of America. Information about Horse Charities of America and the EQUUS Foundation is available at two identical website addresses, equusfoundation.org and horsecharitiesofamerica.org. The U.S. Office of Personnel Management approved Horse Charities of America aka EQUUS Foundation for inclusion in the Combined Federal Campaign as a member of Animal Charities of America since 2009. The Combined Federal Campaign (CFC) is the annual workplace charity fund drive for federal employees, postal workers, and military personnel and is the largest and most successful workplace drive in the country. The CFC allows contributors to make gifts only to pre-approved "authorized" charities. The EQUUS Foundation was awarded the "Best in America" seal by the Independent Charities of America in 2009. Of the 1,000,000 charities operating in the United States today, it is estimated that fewer than 50,000, or 5 percent, meet or exceed these standards, and, of those, fewer than 2,000 have been awarded this Seal. In accordance with IRS regulations, the Foundation files the IRS Form 990 annually and is audited by the accounting firm of Sabel & Oplinger, CPA, PC. 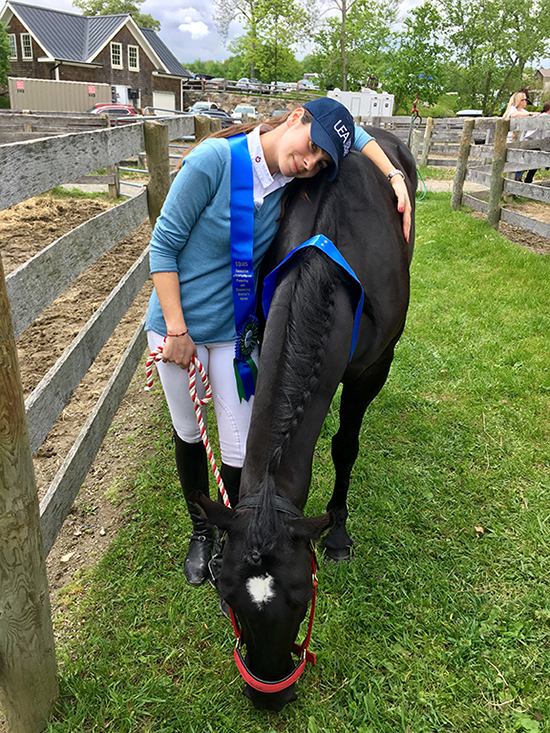 When her youngest daughter headed off to college, it also came time for the horses, who were dearly loved by EQUUS Foundation Founder, Lynn Coakley and her family, to transition to their next chapters. 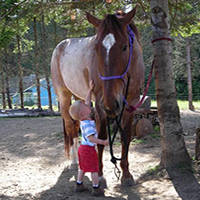 While Coakley was fortunate to be able to provide their horses with a comfortable and safe environment where they could enjoy the remainder of their lives, in the process of exploring the options, she learned that many horses in transition find themselves at risk for abuse and neglect because their owners can no longer care for them. What was most disturbing to learn is that thousands of horses are shipped over the border for slaughter each year – 81,708 in 2018 - most were young, healthy and had untapped potential. Horse owners often bring their horses to local livestock auctions with the expectation that the horse will find a good home – unaware that middlemen who represent or sell to horse slaughter plants— called kill buyers—frequent these auctions. This eye-opening milestone inspired Coakley to establish the EQUUS Foundation in 2002 to provide financial support to a handful of equine charities in Connecticut and New York. The initial board members were all horse lovers, most with children who benefited from what we believe are the unique abilities of horses to empower, teach and heal. The first grants were awarded in August 2003 to seven locally based charities from donations raised in association with the 2003 Fairfield County Hunt Club June Benefit Horse Show in Westport, Connecticut. Over the years, more and more equine charities across the United States approached us for funding. 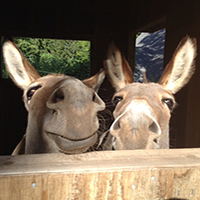 By 2008, we had awarded over $1 million in grants to deserving equine charities. In 2008, the EQUUS Foundation transitioned from being all-volunteer to appointing the founder, Lynn Coakley, to the staff position of President. EQUUS Foundation has no employees. We decided to utilize contract-based management vs. an employee-based management because it was an available option and simplified the operations of the Foundation. The Foundation contracts with HorsesUSA, LLC (formerly Equinox Creative Management, Inc.) owned and operated by Lynn Coakley, to provide administrative, program, and fundraising support to include managerial, clerical, and accounting responsibilities. The management fee has remained steady ranging from $75,000 to $100,000 for management services plus an additional $10,000 for the provision of office space and equipment. 2) engage a consultant to help us raise national awareness of our mission through marketing, communications, fundraising, events and special projects and to identify key donors capable of gifts of $25,000 or more. The Board authorized the allocation of $180,000 crossing over two fiscal years. Valerie Angeli was hired in January 2017 to complete this second phase of the strategic plan. Throughout this period, we maintained the same level of support to equine charities that we had in the past based on the donations received each year. All donations received were and are used to support the existing programs and services. Only the bequest was used for the strategic plan. We announced the completion of the strategic plan including the launch of a new website in a news release, A Brief Look Back . . . A Brief Look Forward, dated January 14, 2019. Going forward, Lynn Coakley continues to serve as President, and Valerie Angeli serves as VP of Engagement. For our fiscal year ending August 31, 2019, we are projecting total staffing fees of approximately $125,000 and an increase in our annual grant awards based on anticipated revenues. What started locally has now become a nationwide effort to keep America's horses safe and to ensure that they have loving homes where they can thrive and have opportunities to share their unique abilities with people.